Legendary American motorcycle manufacturer Harley Davidson follows a cult status around the globe, not only for their motorcycles, but also for their ownership experiences. 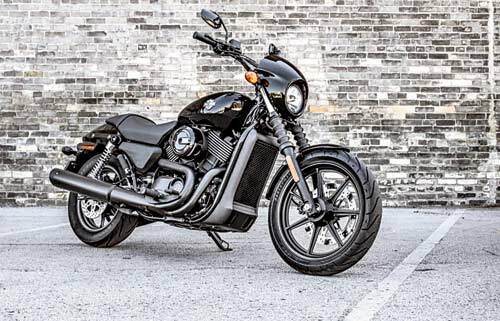 With a strong show in India since their launch, Harley Davidson recently announced the launch of its newest motorcycle, the Street 750, in India at the recently concluded Auto Expo 2014. The Street 750 was launched at a mouth-watering price tag of Rs. 4.1 Lakhs ex-showroom Delhi. The news gets even better, as Harley Davidson has now announced a finance scheme for the Street 750 in association with HDFC and ICICI Bank. Customers who complete their booking of the Street 750 will have their processing amounts entirely waived off for loans originating from the two banks. Customers can purchase the Street 750 for a minimum down payment of Rs. 91,471/- with an EMI as little as Rs. 8,309/- for a period of 5 years. In addition to this, customers being loaned by HDFC Bank can also finance their accessories worth up to Rs. 50,000/- (fifty thousand) for the Street 750 and upto Rs. 2,00,000/- (two lakhs) for other Harley Davidson models. This is particularly useful as Harley Davidson is famously known to have over 5,000 (five thousand) customisation parts and accessories across their range. Almost every part on the motorcycle can be customised using various available options. The Street 750 has been launched with 57 options for customisation. Bookings of the Street 750 begin on the 1st of March 2014 at all 13 dealerships across the country.